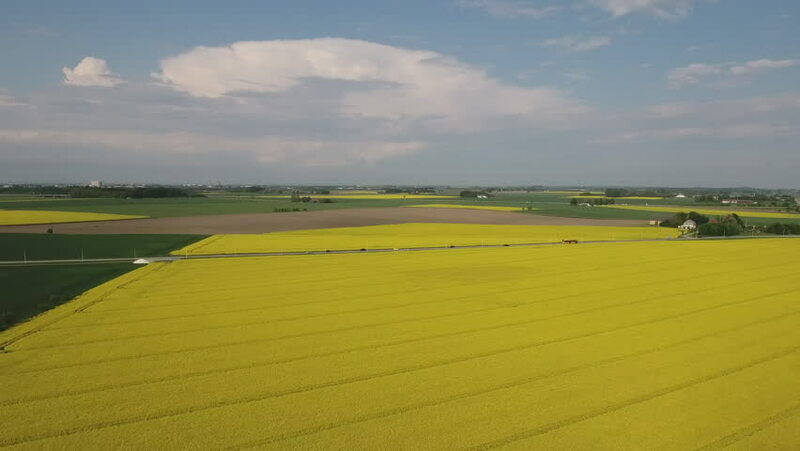 Aerial view descending to low over rapeseed crop near Malmo, Sweden. 4k00:11Farm tractor plowing a green field, a lot of birds flying around him.Aerial view:tractor plowing the land in rural areas on the farmer's field.4K,UHD. hd00:14Aerial view of UK countryside and farmland in summer. High above green fields, crops and hedgerows on agricultural land. 4k00:28High above with huge land cultivated 4K. Beautiful flat land nature with farm lands everywhere. Two tractors working on a field in front. Sunny day. Blue sky.